It's an Italian tapas restaurant in Boston's South End. That's a neighborhood I avoided when I had lived there in the 90s. They didn't have any reservations available. My wife and I didn't like that uncertainty. We had other things we wanted to do that night and didn't want to get stuck waiting for an hour. It was tiny. I've been in a lot of tiny places in Boston. Tiny usually equals cramped, crowded, and unpleasant. Coppa turned out to be perfect. They had amazing food, a wonderfully cozy atmosphere, and great service. The restaurant was crowded, but they found a comfortable spot for us at a small bar looking out the window. We never would have gone there if we had relied on Yelp. Good thing we asked an expert instead. 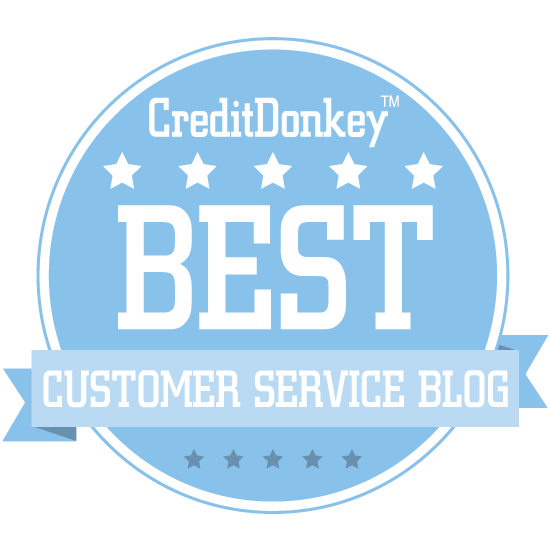 When it comes to getting great service experiences, a knowledgeable person is still the go-to option. Yelp makes recommendations based on two things: algorithmically-culled recommendations of an anonymous crowd and the searcher's ability to enter appropriate search criteria. It generally does a good job. Just last week, I was traveling and needed to find a place to get a haircut. Yelp was able to narrow down my search to a few highly rated places that were all within walking distance of my hotel. A quick scan of the reviews helped me pick a winner. It worked out well. But, there are a few problems with how Yelp delivers its recommendations. First, how do I know that the anonymous crowd shares my interests and tastes? Coppa has over 500 Yelp reviews and a strong four star rating, but I really don't know who is rating them. There's been plenty of times when the crowd has absolutely loved something that I just couldn't get into. For example, I've tried many times to love The Godfather movies and still don't like them. The second problem with Yelp is the user. It's limited by whatever search criteria you use. So, if you decide to exclude the South End, then Yelp won't recommend anything in that neighborhood. That's why Coppa didn't appear in my Yelp search. The problem, of course, is customers often don't know exactly what they want. Or, they think they do, only to be delighted later on by an option that didn't fit their criteria at all. I experienced a similar challenge when I tried to use IBM Watson to pick out a jacket. Watson was limited by the search criteria I thought matched my needs. I received better service from an in-store sales associate who could interpret my criteria and think laterally to suggest options I hadn't considered. My friend, Patrick Maguire, had suggested Coppa. Patrick knows a lot about restaurants in Boston. He writes the popular I'm Your Server, Not Your Servant blog about hospitality service. He also consults with Boston-area restaurants on PR, promotions, and hospitality. I definitely consider him an expert. I had told him my wife, Sally, and I were looking for a place for dinner. He asked a few thoughtful questions that led to his recommendation. Patrick used his extensive knowledge of area restaurants to make his suggestion. He used his perceptiveness to interpret my criteria and understand what was truly important to us. And, he used his relationship with me to effectively persuade me that things I saw as obstacles (South End, no reservations, etc.) weren't really obstacles at all. The other thing that Yelp couldn't do is validate my choice. Getting some insider information makes me feel good. Heck, look at the title of my blog and you can tell this is something I obviously value. I wrote a little about connecting with experts in this blog post about Do-It-Yourself Learning. Chances are, you know a lot of people who are an expert in one thing or another. The thing I've learned is you have to approach them directly. So, if I had made a general post on Facebook asking for restaurant recommendations, I might have gotten several suggestions from well-meaning friends who may or may not have been on-target. If I was lucky, Patrick would have seen my post, but there's a good chance he wouldn't have. The direct approach worked much better. I went to him because he's an expert in that area. This means you have to think about who's in your circle that knows something about what you know. Check up on your friends' profiles on Facebook, LinkedIn, and other social networks if you can't remember who knows what. Employees are often experts too. They've received specialized training. They spend a lot of time answering questions and familiarizing themselves with their company's products and services. And, I can tell you that most customer service employees love getting the chance to share their knowledge. This means your restaurant server knows the inside scoop on how menu items really taste. A retail employees knows the ins and outs of their products. As I noted in a recent blog post, self-help tools like Yelp are gaining in popularity, but employees (and your friends) still hold the edge when it comes to nuanced or complex requests. Your business’s Yelp rating is a beacon that signals to potential customers. A four or five star rating will encourage new customers to give your business a try. A three star or lower rating might send people to one of your competitors instead. If you want that coveted Yelp rating, you’ve gotta earn it. This post is the third in a three part series. The first covered five Yelp trends every business owner needs to know. 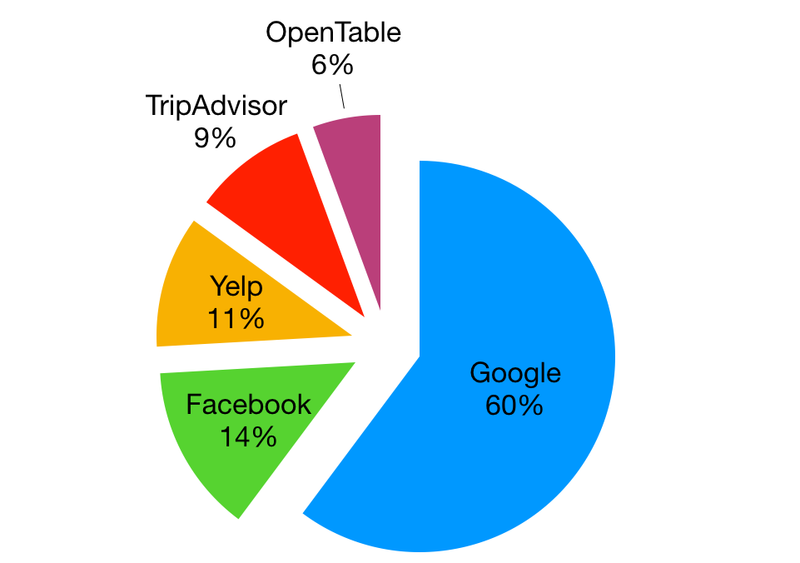 (Hint: Yelp can be very good for business.) The second post laid out three steps for responding to negative reviews. This post will show you how to use Yelp reviews to improve your business and ultimately earn higher ratings. This post is intended to be educational rather than a critique of a particular business, so I decided to use San Diego’s Cucina Urbana restaurant as an example. They’ve earned an impressive 4.5 star rating on Yelp and are also one of my favorite restaurants. Their Yelp reviews are also proof that even the best businesses get an occasional customer critique. Here’s a step-by-step guide to using Yelp reviews to improve your business. Yelp uses an algorithm to sort reviews, but you want to look at the most recent feedback. You can click on the “Date” link to sort reviews of your business from newest to oldest. The next step is to dig into your reviews to search for themes. I like to use a check sheet because it’s fast, easy, and visual. Take a blank piece of paper and create five columns along the top. Label each column 1 through 5 to correspond with the Yelp rating options. Put a check next to each theme you encounter in subsequent reviews. For example, if one five-star review mentioned “friendly service” and another five-star review mentions “our server was really friendly,” I’d write “friendly” under the five column and put a check next to the word to indicate it’s been mentioned two times. Your check sheet should reveal a few themes that separate positive reviews from negative ones. There’s also a potential danger from their popularity. Many reviews, including positive ones, mention the need for reservations because the restaurant is so popular. In fact, where things do occasionally go wrong, the problems are often connected to the restaurant being busy. Once you’ve identified some themes, it’s helpful to investigate to get to the heart of the matter. Your biggest challenge is to separate outliers from icebergs. Outliers are opinions that don’t match the norm. For example, a couple of three-star reviewers mentioned prices were too high. Does this mean Cucina Urbana should lower its prices? Very few reviews mention that prices are too high. Other reviews mention that the prices are very reasonable. They also have consistently large crowds, which would indicate that they offer good value. And, the people who complained about price tended to be very price-sensitive in their reviews of other restaurants. On the other hand, the way they handle crowds might reveal a few icebergs. An iceberg is a problem that’s much bigger and dangerous below the surface. The 1 in 5 rule may apply here. This rule suggests that for every one complaint you receive, five people actually had the experience. It's a short-hand way of suggesting that the majority of customers don't complain about minor issues. Using the 1 in 5 rule, it might be reasonable to assume that 10 or more guests in June were upset due to confusion over their reservation. Now comes the most important part - doing something to improve your business. The whole point of this exercise is to generate actionable insight. You want to be able to identify specific actions you can take to improve service and ultimately earn better Yelp reviews. Here, I won’t try to offer any specific advice for Cucina Urbana because I’d only be guessing. Without the benefit of doing an investigation myself (Step 4), I might not land upon the right solution. However, it may help them discover how to make guests feel more welcome when there's confusion over their reservation. The customers often bear some responsibility in these situations, but that won't prevent an upset and unreasonable customer from writing a negative Yelp review. There are two important caveats here for all business owners. First, resist the urge to jump to step five before you find out what’s really going on. Otherwise, your solution may be off the mark. Second, getting angry at negative reviewers won't improve your business. Your goal should be to use their feedback to improve the experience for future customers. I will offer one last piece of advice: don’t ever get complacent! Your journey isn’t over even if you’re lucky enough to earn a four or five star Yelp rating. Just as ratings can increase, they can decrease too. You and your employees have to earn your customers’ praise each and every day. A negative Yelp review can feel like a punch in the gut. 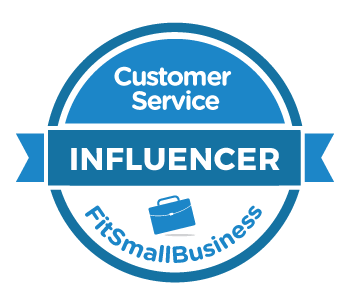 You work hard, train your staff, and pour your heart into providing great customer service. Then some bozo comes along and shreds it all to pieces with a scathing write-up. It may seem counterintuitive, but these complaints represent an opportunity. The key is to handle them correctly. This post covers proven steps for responding to negative Yelp reviews. It’s the second post in a three part series. Last week’s post covered five Yelp trends every business owner should know. Next week’s post will focus on ways you can use Yelp to grow your business. Your mom probably told you that two wrongs don’t make a right. This sage advice holds true on Yelp. Nobody wins an online argument, so fighting a vitriolic review with your own incendiary rant will only make you and your business look bad. It might even bring you and your business more negative publicity. In one extreme example, a small business owner was arrested and sent to a hospital for a mental health evaluation. The whole story was chronicled by Inc. Magazine. That type of coverage is a lot worse than one bad Yelp review. There should be two goals whenever responding to a negative Yelp review. First, fix the problem. Second, maintain a positive public image. Yelp provides tools to help you do both. One option is to respond privately to a reviewer. To do this, you first must set up a free business owner account. You can approach this option just like you would a customer email. Use this connection to try to get to the bottom of the issue and, if possible, make the customer feel better. The second option is to respond publicly. Your goal here is to signal to other potential customers that you care about their experience and will work hard to make things right. This makes the tone of your response very important. It has been said , "An educated consumer is our best customer", clearly you do not fall into this category. You are an idiot. That response probably won't win the business any future customers. It might even be picked up by a blogger who uses it as a "how not to" example. You don't want that. [W]e don't like to turn away business and we are sorry we can't work with everyone in every situation. We wish you well in your search for a company that is better matched for your contracting needs. There's a third potential benefit to responding to customers who write negative reviews. While you should never solicit this directly, some customers will increase their rating if a business resolves the problem to their satisfaction. Inside all be the most clueless of reviews is a kernel of truth. This is a signal that can be used to improve your business. Let’s say you run a restaurant and someone writes a one-star Yelp review because there was a two hour wait to get seated. You look closely and notice they didn’t even dine in your restaurant. Maybe not, but this reviewer may also be doing you a favor by pointing out an iceberg. An iceberg is a seemingly small problem that is much larger and more dangerous below the surface. If any of these issues are real, you can make a lot of customers a whole lot happier by fixing them. Yes, the reviewer might just be a clueless jerk. They may also be one of the 16 percent of reviews that are fake. Smart business owners will take a deep breath and investigate before dismissing the complaint outright. They might even use it as an opportunity to signal other customers by posting a good response. For example, they could thank the customer for their feedback and suggest some times of the week when they are much less busy while also providing a gentle reminder about their online reservation system. Will that customer come back? Maybe not. But other customers might see the response and appreciate the thoughtfulness that the owner put into it. There are at least three ways that negative reviews can be good for business. First, customers mistrust businesses with 100 percent positive reviews. They know that a lot of fake reviews are actually written to support a business rather than tarnish a competitor. The occasional negative review makes all the other positive reviews appear more authentic. Second, many customers look specifically for negative reviews. Most reviews are positive (67 percent are 4 or 5 stars), so customers want to see what problems people are noting. A business that responds quickly and positively to reviewers instills confidence that problems are being addressed. Finally, the content of negative reviews can help you improve service. (See Step 3: Look for the Kernel of Truth) Stay tuned for next week’s post, the third in a three-part series, where I’ll break down the steps to using Yelp reviews to improve your business. If you’re a business owner who dislikes Yelp, you’re not alone. Business owners worry that unflattering reviews might scare away potential customers. They’re suspicious that negative reviews might be fake, perhaps planted by an unscrupulous competitor. These reviews of your business can sometimes feel like a personal attack. The catch is that Yelp impacts your business whether you like it or not. Think of Yelp as a wave in the ocean. You can’t change or stop it. But you can learn to ride it gracefully. This post is the first in a three part series about the review website Yelp. Today, we’ll take a look at five big picture trends. The next post will offer suggestions for responding to negative reviews. The final post will focus on ways Yelp reviews can help grow your business. For now, here are five Yelp trends you need to know. It turns out there really are a lot of unscrupulous people and businesses writing phony reviews. A recent study by Georgios Zervas and Michael Luca determined that 16 percent of Yelp reviews are fake. They’re either written to boost a business’s online reputation or to unfairly tarnish a competitor’s. Yelp acknowledged the study on their blog. They also added that 25 percent of reviews posted on the site are weeded out by their filtering software. It may be easier to describe what you shouldn’t do. Legal action probably isn’t worth the time and expense. A profane counterattack can backfire and make your business look bad. Ignoring the issue won’t help much either. Many experts suggest a polite, professional response. Keep in mind that you aren’t just responding to the person who wrote the review. You’re responding to people who might read the review. Customers are much more understanding of a negative review if the business owner provides a good response. Georgios Zervas and Michael Luca, authored another study (this one with John Byers) that coined the “Groupon effect.” Their data revealed that Yelp reviews that mentioned the word “Groupon” averaged a 12% lower rating. The study also determined that businesses received a 60 percent increase in reviews after offering a Groupon promotion. In other words, a Groupon promotion can hurt your Yelp rating by leading to a flood of below average reviews. The lure of additional business can make services like Groupon and LivingSocial quite tempting. It’s important to realize that might be substantial hidden costs to acquiring new customers this way. The Boston Consulting Group did a study on the impact of advertising through Yelp. They discovered that just opening a free Yelp account boosts revenue by an average of $8,000. Customers will talk about your business whether you like it or not. Grabbing your free business account will allow you to actively participate in that conversation on Yelp. This shouldn’t come as much of a surprise, but it’s nice to know there’s data to back it up. Another study from Michael Luca found that restaurants increased revenue by 5 - 9 percent when their Yelp rating improved by one star. This impact isn’t just confined to restaurants. A fascinating case study on the Pipeline Marketing Blog illustrated how a painting contractor’s Yelp page delivered $123,040 in revenue one year - nearly a third of the company’s total sales. And, it seems that people generally like to give positive reviews. People give businesses a four or five star rating 67 percent of the time. How can you raise your Yelp rating? I’ll answer that question in the next post in this series. However, I can give you a big hint. It involves listing to and acting on customer feedback. A Nielson study found that four out of five Yelp users visit the site looking for information to help them make a purchase. This makes Yelp an important source of advertising. Customers visit Yelp much like people used to reference the phone book. They search for a specific business category and then decide which businesses to contact. Surprisingly, 44 percent of Yelp users say it’s the text of the reviews that matter most when making a decision. They look to the specific pros and cons and how the business owner responds to complaints. It’s also important that customers can easily find you once they decide to give your business a try. Make sure your contact information is up to date and your hours of operation are correct. Restaurants can post their menu on Yelp and even offer a link to make reservations. You can learn even more by visiting Yelp's Business Support Center.